Chamber membership is a very effective way to grow your network, boost your business, enhance your business visibility, and open doors to all sorts of possibilities. More than 1,700 local business are members of the New Braunfels Chamber representing every size and type of business and every industry. 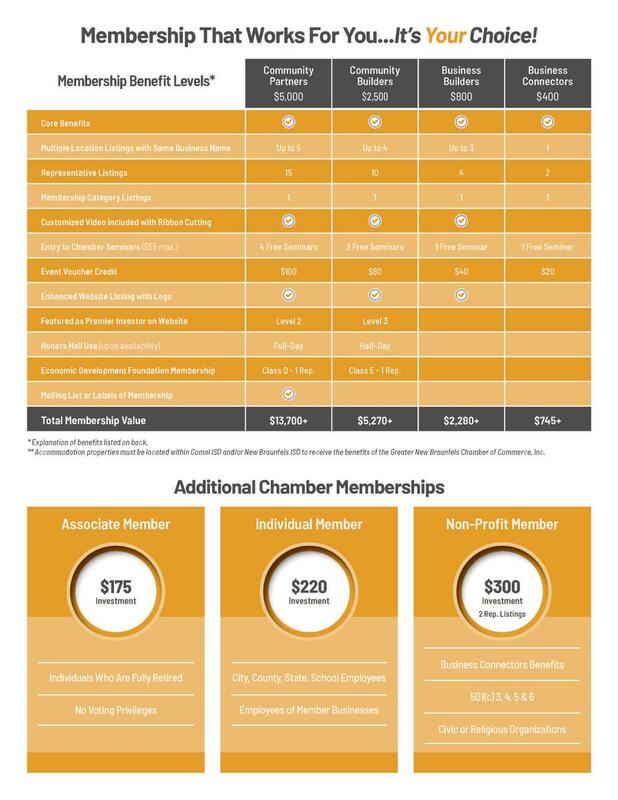 Please review the Membership Benefit Levels below and choose the level that’s right for you. Contact Jennifer@innewbraunfels.com or Phyllis@innewbraunfels.com for more information.